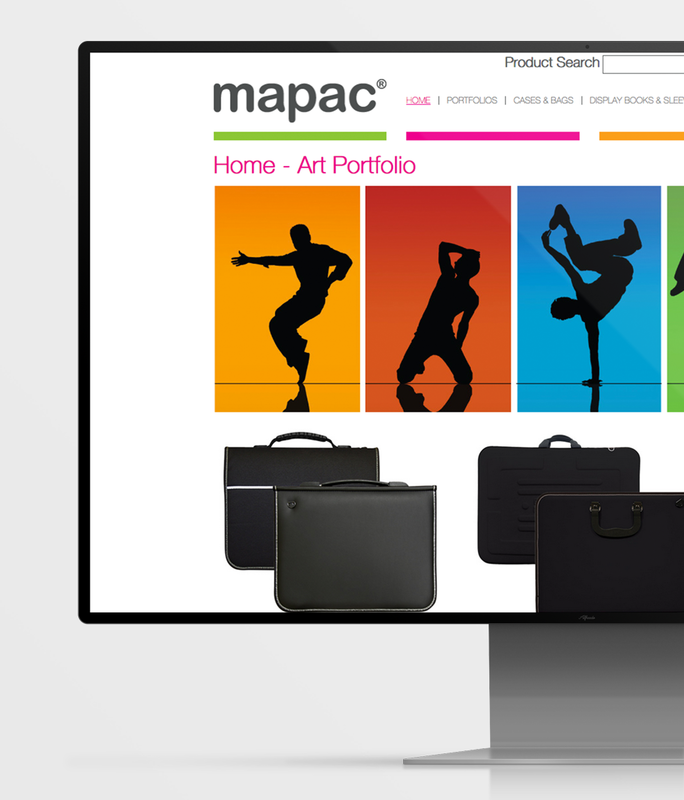 A relationship that has flourished over more than 6 years, Reuben Digital’s e-commerce solution for Mapac has been instrumental in helping Mapac's position as the leading provider of portfolio folders and school bags in the market place. 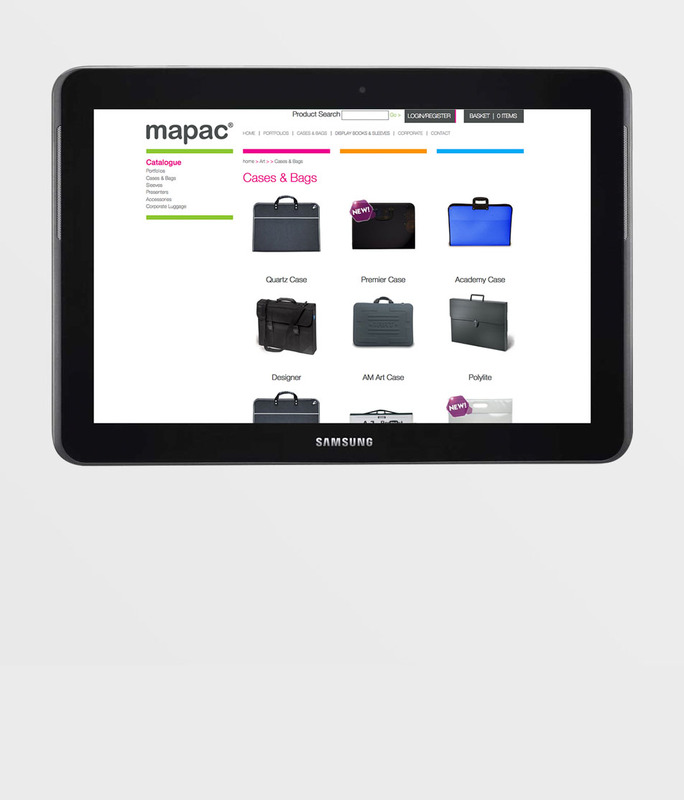 Working close with both the operational end of the business and the sales / marketing teams, we developed a flexible e-Commerce tool that offers a comprehensive online solution for all their clothing and accessory markets including school wear, work garments, leisure wear, bags, and accessories. 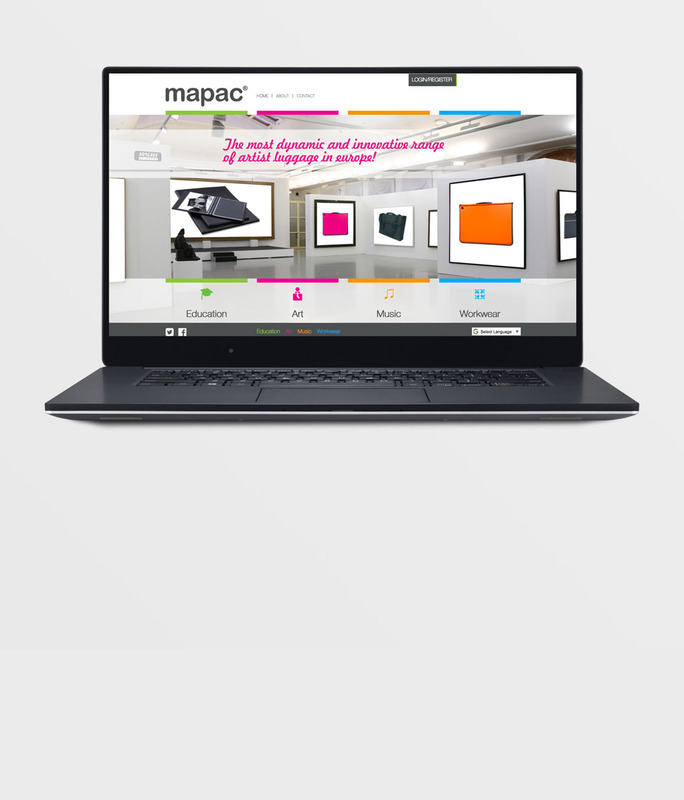 Our innovative solution not only provides a complete online sales engine, but also offers the essential tools and processes required for behind-the-scenes management of an efficient and profitable online clothing business - critically, digital picking and a fully automated warehouse stock management process. Easy to use and efficient online ordering for plain stock items and for branded/decorated garments. Multiple store front architecture. Direct customer orders via organic/natural traffic or via configured ‘My Products’ profile pages using a unique ‘Find my school/business’ approach. Business orders via personal pages and profiled product portfolio. Sales teams can place orders on behalf of customers via sales portal. Wholesale and account customer functions. Advanced back office processing and integration. Order consolidation for multiple orders relating to a single school or business. Advanced Stock Management and Purchase Order Processing. ‘Drop ship’ or ‘in-house’ fulfilment capabilities. Full stock inventory management and work flow, including multiple stock locations. Purchase order management and supplier management. Bar-coding. Logo setup. Multi-level pricing and discounting options for direct customers, schools and parents. On demand’ embroidery/screen print of logos etc. via advanced integration with Slick Stitch, the UK’s leading printing and fulfilment house. Advanced Content Management System (CMS) for managing website content and marketing information. Reuben’s multi-functional e-Commerce platform was complex to build, but crucially, it’s straightforward to use and extremely profitable for our clients.